This summer, my family decided to add a bitcoin-only twist to our annual trip to New Hampshire for the Porcupine Freedom Festival (PorcFest). 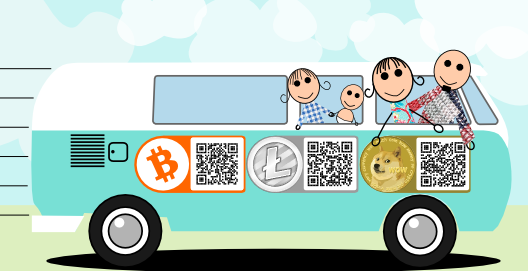 We had no clue if cross country travel on bitcoin was possible, but our love for adventure and crypto currency inspired us to find out. Last year we challenged ourselves to spend no Federal Reserve Notes (FRNs) at Porcfest, and it was a smash success. We used silver, bitcoin, and barter for food, childcare and other needs during the festival. At the time, a bitcoin was worth around $20. During the course of the past year, we watched Bitcoin grow from an obscure form of barter into a major global economic player. Currently a bitcoin is worth over $600. The currency had spiked in value so much in the past year that it has been considered the best investment of 2013. This drastic rise in value created a burst of innovative and creative ways to utilize it. We felt the time was right to attempt an experimental journey. My first and most tedious task was to figure how to pay for gasoline with bitcoin along the 4,400 mile journey. I was introduced to a company called CoinFueled that allows you to purchase gift cards for major gasoline providers with bitcoin. I sat at a computer for hours mapping out each stop and calculating how much gas we would need to pump in each city. I decided we needed to purchase $500 in ExxonMobil gift cards and $300 in BP gift cards. We later discovered the massive amount of vendor items in our trunk and the tent on our roof created a major miscalculation in gas mileage. Nonetheless, our gift cards arrived via FedEx just days before our departure. The service requires a two week processing time, so it is important to plan way in advance if you want to plan a bitcoin-only road trip. As technology evolves and more companies begin to accept bitcoin directly, this time factor will change. Eventually we can expect to pay for gasoline directly with bitcoin. For now, in the days of early adoption, bitcoin travel requires great logistical forethought. Traveling with two toddlers requires lots of snacks and activities for the car. I decided to order our favorite organic treats in bulk from Amazon. While Amazon does not accept bitcoin directly, you can purchase gift cards through a service called Gyft. I selected a wide variety of snacks, a new stroller with two reclining chairs, and two removable car seat activity trays to be delivered before we left. Unfortunately, the activity trays did not arrive on time and I had to arrange to have these items forwarded to our fourth stop along the journey, the Bitcoin in the Beltway Conference in Washington, D.C. When we left our apartment the morning of June 16th, I was truly a walking zombie from our all night car loading marathon that lasted until the wee hours of the morning. We pumped our first tank of gas with our CoinFueled gift cards and took off toward our first destination, Baton Rouge, Louisiana. Before we got out of town, we realized our car charger adapter had been left in the loaner car our dealer had given us while they did pre-trip maintenance on our minivan. I was live blogging the trip from my tablet and absolutely needed the adapter to maintain enough power to keep a lively blog pace. This required a detour to a local Target so we could purchase a new one with a Target gift card purchased with bitcoin through Gyft. As we plowed east we relied heavily on Gyft for our food and hotel purchases. We enjoyed several stops at Whole Foods for lunch and groceries, dinner at restaurants like Logan’s Roadhouse, and hotels in Baton Rouge and Atlanta through GlobalHotelCard.com. Our first stressful moment on the road happened in Mobile, Alabama. We arrived at a TGI Friday’s that no longer existed. We then sat in the car with two hungry toddlers while we searched for another restaurant we could eat at through Gyft. Once we arrived at Applebee’s, our daughter had fallen asleep and our son was incredibly slap happy. My husband John and I were exhausted and grumpy, but decided to roll with the punches and accept the obstacles as they came. Before we left Atlanta we decided to spend some time at the BitPay Headquarters. BitPay is a bitcoin payment processor for companies like Gyft. 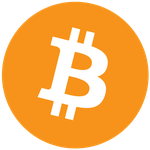 They allow merchants to easily accept bitcoin as a payment option, even allowing them to immediately convert all or part of the bitcoin payment into cash. BitPay has grown so much in the past year that they had to move to a new space and have opened additional offices around the globe. Their Atlanta office was bright and full of positive energy. We were welcomed by the staff and showered with BitPay merchandise. Our family enjoyed a catered lunch as we sat in awe of the successful Bitcoin business. Our next stop was in Asheville, North Carolina where we conducted a screening of our reality show, Sovereign Living, for some participants in the Blue Ridge Liberty Project. These folks are trying to attract like-minded people to move to the area and are passionate about peaceful parenting and voluntary living. We really connected with this crew and felt heartbroken to part ways as we left for the night. We decided to branch out and try using Expedia to book our hotel directly with bitcoin. This ended up being a major mistake and resulted in a cascading debacle of problems and failed solutions. We later learned that CoinBase, a bitcoin payment processor similar to BitPay, had servers go down at the exact time we had booked our room, which led to our initial problems that night. While we had a very constructive conversation with management at Expedia later in our journey, it did not make our late night arrival to our Asheville hotel any easier on our family. We finally arrived in Washington, D.C. where we were able to spend three days in one place. The conference was a wonderful opportunity for us to share our “uncoinventional” experiences to date. I spent little time at the actual conference and decided to take the kids to as many free or bitcoin-friendly events in D.C. as possible. This meant running the fountains and watching Legally Blonde II in a nearby park. We were even able to to pay bitcoin directly for lunch at a local D.C. establishment called Thomas Fooleries. The wonderful young man behind the counter did have to call his boss to make sure the payment had gone through. John initially sent the wrong amount, so good thing he checked. We suggested they set up their business with BitPay so they could send an invoice directly with the exact amount. It was in D.C. that we realized our gas calculations were off. We decided to order another gas card from CoinFueled and have it shipped to our campsite at Porcfest. Dante rushed the order, which allowed us to receive the card in time for our return journey home. During our trip we had changed our route to include New York City, so we could stay at the Holiday Inn Express in Brooklyn. This hotel recently decided to launch a bitcoin pilot program, and they were excited to have us as their first guests. While we were at the Bitcoin in the Beltway Conference, we were also invited to screen the bitcoin episode of Sovereign Livingat the New York City Bitcoin Center. As we drove to New York, a city we had not initially planned to visit during our trip, we were confronted with a major obstacle: toll roads. Had we considered this in our initial planning phases, we may have been able to work out a “proxy,” or someone who could buy us a toll pass with cash and have us reimburse them in BTC. Because we made a mid-trip decision, we were not able to make our new destination purely on bitcoin. We spent our first FRNs as we discussed innovative ways the Bitcoin community could get around this obstacle to bitcoin-only travel. We arrived late at night to the Brooklyn Holiday Inn Express and easily made payment with bitcoin through BitPay. That morning we had several media interviews, then took off with our friend, Danny Panzella of TruthSquad.tv, and his son for lunch at a bitcoin-friendly restaurant in Brooklyn. The woman behind the bar knew we were coming, but after our meal was complete, she was not actually prepared to take our bitcoin payment. John spent over 20 minutes on the phone with the owner trying to figure it all out. He eventually received a CoinBase invoice, and pushed the “Pay Invoice” button. To his surprise it automatically took the BTC from our nonprofit CoinBase account, which was not what John had intended to do. Thankfully, we had received donations specifically for this trip in that account, so it worked out fine. Be aware that this quirk exists – when you get the invoice via email and select “Pay Invoice,” it does not give you further payment options if you are logged into any account. After a full day of walking through the streets of Brooklyn and playing in the park, we hopped on a subway. The subway pass had been purchased with cash by Charlie Shrem, an infamous Bitcoin advocate, who we paid back in bitcoin. We had to use a proxy several more times on this trip when bitcoin payment was not an option. We made it to the NYC Bitcoin Center and simply stood in awe of the facility and community they have brought together. Just a half block from the Wall Street Trading floor, the Bitcoin Center was a symbol of freedom from corporate and government manipulation. We conducted our screening as our children slept in the stroller, and John was able to ring the bell for the bitcoin trading floor. We ducked out early to grab a bite to eat at TGI Friday’s using Gyft, then to pick up our car so we could head into Massachusetts for some rest before we arrived in New Hampshire for PorcFest. If we had known how long our night was about to be, we would have stayed another night at the Brooklyn Holiday Inn. After we got off the subway, we had about six more blocks to walk on foot. John noticed a tall blonde turn the corner ahead of us followed by a male in a white t-shirt. John got a bad feeling and told me to stop when we reached the crossroads. We stood and watched as the man began to run, then grabbed the woman, and ran off with something in his hands. I ran to her asking if she was OK. She was shaking and crying, totally terrified, but unhurt. He had stolen her phone just three buildings from her destination. We called the police at her request and escorted her to her boyfriend’s house. We sat with her until the police arrived, then continued the remaining three blocks of our journey. We discussed the importance of looking up while walking in public places, something I had not been doing as I updated our live blog from my tablet. We loaded our sleeping babies into the car and took off on the next leg of our destination. This ordeal lasted until 3:00 a.m. Thankfully our children slept through it all. The late night required a late morning, which resulted in me missing the Women in Bitcoin panel I had organized and was supposed to moderate at Porcfest. Thankfully, the show went on, and Stephanie Murphy of Let’s Talk Bitcoin moderated in my place. When we arrived at PorcFest, we were about eight hours behind schedule. This meant we had to race the clock to have our vendor and personal tents set up before dusk. We had our first bitcoin dinner from a vendor on site and settled into what we thought would be a relaxing week of vending and playing with our kids. Wrong. John and I had purchased a SkyHook bitcoin ATM at the conference in D.C. Our brilliant idea was to have the ATM set up at our site to attract customers and provide them easy access to bitcoin. This was our first year with a campsite at the very bottom of the hill, and we were not prepared for the lack of internet connectivity. Here is one of the major flaws of the Bitcoin ecosystem: it is highly dependent on having an Internet connection. Basically, John spent the first three days staring at this ATM trying to figure out how to keep an internet connection. We paid for the net through the campground; it didn’t work. We paid through a hot spot service offered by another vendor; it didn’t work. We tried tethering our own phones, tethering other people’s phones, sharing other people’s hotspots, but nothing remained stable until Ruben, the Editor of Bitcoin Magazine, showed up with a Verizon Internet hotspot that he set up right next to the machine. While John fiddled with the machine, I tried to balance watching the kids and vending our other bitcoin-centric items. It simply was not a pleasant experience for me at all. By the time we actually had an internet connection, the campers at the event had figured out there were other ATMs with better internet and simply bypassed our booth when it came to bitcoin purchases. The rain didn’t help, either. I ended up missing the second panel I was supposed to be on because my daughter burned her fingers just minutes before it was supposed to start. Because of the rain, we had invited some friends to vend their hot food in our 30-ft long covered tent. This may not have been the most brilliant idea in hindsight for two reasons. First, their power usage kept shorting out the power strip and killing our bitcoin ATM, causing our connectivity issues to worsen. And second, because we have two toddlers that we now had to watch around hot cookware. Case in point, our daughter climbed up on the picnic table and touched their hotplate, causing three second-degree burns on her fingers. I opted to watch the Bitcoin Magazinepanel from the audience while comforting my daughter. My husband, John, was on the panel and did a really great job. The audience was very engaged and asked lots of great questions about Bitcoin and the magazine itself. Afterward Bitcoin Magazinehosted a beer keg party that allowed the readers and writers to mingle and get to know each other. By the time the event was over, I was actually excited to leave. Porcfest is one of my favorite places to be every year, but this year’s Bitcoin ATM / vending experience had tainted it in many ways. The two days after Porcfest were a much-needed break. We stayed with some friends in southern New Hampshire that John had met through activism in previous years. They always put us up and treat us like family. They took us to breakfast both mornings and refused repayment, not only in bitcoin, but of any sort. They also cooked us very wonderful dinners the two nights we were there. When we took off for the next leg of our trip, we felt replenished and rejuvenated. This marked the beginning of the more relaxing and stress-free portion of our journey. By now we had figured out many of the quirks involved with bitcoin travel and felt confident in what we were doing. At this point, we decided to make another change to our travel plans: instead of a stay in Erie, Pennsylvania, we were going to stay in Cleveland Heights, Ohio. This change was inspired by the founder of Bitcoin Boulevard US, Nikhil Chand, when he sent me a tweet asking if we were going to stop and see what they had built. We immediately changed our plans so we could stay a night and experience their thriving bitcoin economy. We drove a full day to Buffalo, New York, where we booked a hotel directly with bitcoin through CheapAir.com. That night I published my article on Expedia, and by morning it was blasting all over the interwebs. We spent the morning at Niagara Falls, then took off for Ohio. When I opened my tablet, I found that Expedia and CoinBase had contacted me to discuss the issues we had with their services on the road. We had very productive conversations with both businesses as we drove west toward our next stop. We discussed the need for a call center training curriculum on Bitcoin, and I linked the two of them up to help make this happen. Expedia returned our $21 and gave us a $200 travel credit we would later use in Saint Louis. We also scheduled an interview for John’s podcast that I could use as a basis for a follow-up article on the solutions we found together. When we arrived in Ohio, we were feeling empowered and excited to experience what they had created in Cleveland Heights. Nikhil and his wife Rebecca, were waiting for us in their driveway with their dog when we arrived. They warmly greeted us, then we all walked a few blocks to our dinner destination, The Travel Co. We talked to a reporter from an Ohio publication and enjoyed one of the best meals we had experienced on the trip. John easily paid for the meal with bitcoin through BitPay, but Ohio regulations do not allow bitcoin purchases for alcohol. Because of this, John paid for all the food with BTC, and Nikhil paid for all the booze with cash. Our children were totally insane the entire meal, and I felt so bad for the other customers. I took them out early for a stroll down the Bitcoin Boulevard before we all reconvened at SweetieFry, a delicious homemade ice cream shop that also accepts bitcoin through BitPay. The next morning we stopped at the Katz Club for breakfast. This was hands down the best breakfast I have ever had. Locally sourced meats and produce accompanied a variety of gluten free options. This is not a cheap place to eat, but it is worth every penny. They easily accepted payment in bitcoin through BitPay, and then we were on our way to St. Louis. We decided to use our $200 travel voucher from Expedia on a hotel that was across the street from the Saint Louis Arch. A buffet breakfast was included with the room, then we made a quick visit to the Arch before we left for our next destination of Kansas City. We were on a tight time crunch so we could see my father play the clarinet in the Parkville Community Symphonic Band for the Fourth of July. We decided to get lunch on the go through Menufy, a service that allows you to order carry out or delivery meals online with the option to pay in bitcoin. We picked up our food in Columbia, Missouri, and had a picnic lunch in the quad of my Alma Mater, the University of Missouri. We decided to add a quick Target stop on Gyft to get a picnic dinner to eat during the fireworks and to buy some clean clothes as we had not packed for this leg of the trip very well. We arrived at the concert in the middle of the first song. We enjoyed listening to the band play, then spent quality time with Grandma and Grandpa waiting for the fireworks display. The next days were filled with friends and family. My mother served as a proxy for us several times, getting us into a swimming pool, buying us breakfast, and pumping gas for us when our last gas card ran out. We returned the favor by buying her a meal at T Rex with a gift card we bought on Gyft. I went to happy hour at On the Border with a friend from high school, and we bought our drinks with bitcoin through EGifter. Because I didn’t have a bitcoin wallet on my tablet, I emailed the total to my husband and he bought the gift card for us. It was simple and easy, yet not your typical method of making payment! Because we ran out of gas gift cards when we arrived in Kansas City, my mom bought us a $100 card the morning we left, and we are sending her one through CoinFueled to replace it. Our last stop on our journey was a hotel in Texarkana, Arkansas. We decided to give Expedia one last chance as we still had a $50 travel voucher through them. No matter what hotel we selected, not a single one had the option to pay in bitcoin. They had explained to us on the phone that some states have different laws, so we tried the Texas and the Arkansas side. After about 40 minutes of trying to use Expedia again, we decided to go with CheapAir.com. It took about three minutes to find a room and book the hotel through their service. On our last day of travel we stopped at a restaurant in Dallas owned by a friend, a delicious cajun music joint called The Free Man. They don’t technically accept bitcoin, but his t-shirt business does. He worked with his wife to send us a CoinBase invoice, and we enjoyed our last meal on the road by paying directly with bitcoin. When we arrived home it felt like a dream. We picked up our cats and ordered Chinese food before we snuggled into our beds. Overall the experience was great. We learned firsthand the practicality of travel on bitcoin and look forward to trying it again next year. By then technology will have evolved and more places will be accepting bitcoin directly as a form of payment. We found applications like Gyft to be extremely convenient and plan to use them in our everyday lives. Since we returned home we were able to set our office landlord up to receive bitcoin through BitPay and found out our favorite coffee shop set up BitPay during our trip. Our apartment landlord said he is about to start accepting bitcoin as well!